Reforms to Labour’s ruling body that would see more officials added to the 35-strong committee could hit efforts to ensure a balance of women and men. Members of Labour’s national executive committee (NEC), who are meeting in London today, are due to consider plans to increase the number of party representatives. The addition of one new rep for affiliated unions, raising their total number from 12 to 13, and three members reps, from six to nine, could have the affect of furthering the gender imbalance on the committee, sources believe. At present, with the groups for both trade unions and CLPs being even numbers, it means that to guarantee 50:50 representation is easy – as half of the spaces can be reserved for women. However, activists fear that if a caucus was increased to an odd number of people – with half of place still reserved – then it could mean having fewer places for women because the number would likely be rounded down. 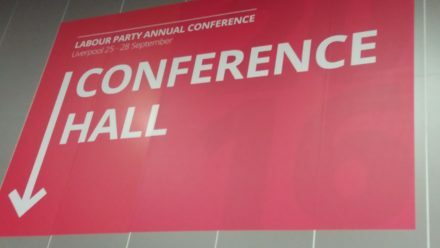 The NEC will also discuss key reforms to the party ahead of next week’s party conference in Brighton. The Labour leadership is believed to favour further “democratisation” of the party and efforts to increase the power of the members. With the NEC finely balanced factionally, though tending towards the left, these moves could tip the balance of power firmly in Corbyn’s favour for further changes to the party’s rule book. Labour when approached offered no comment on the reports.